The weather was better in Edale than in the centre of Sheffield (apparently) and it is not very often you can say that about the Peaks, let’s be honest. The sun was out, the hill sides were bright green and at 8am there was not a cloud in the sky. 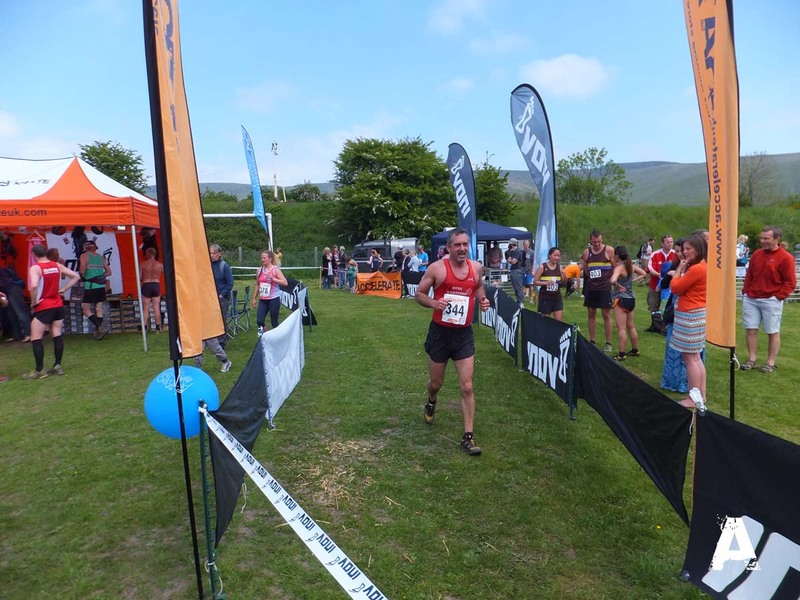 The Edale Fell Race, is organised by Debs, from Accelerate, and each year the monies raised from the event are passed back to the local community projects and also Edale Mountain Rescue who once again would be providing valuable cover for the race. As part of everyone’s race fee there is free entry into the Country Day and Fayre, so allowing the runners and their families to ‘make a day of it’. This was also race-2 following Friday night’s Castleton Fell Race and there were a few pairs of sore legs around. 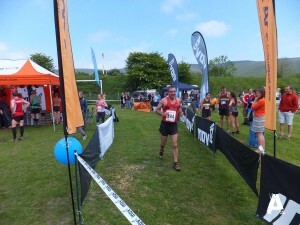 Edale Fell Race, Sunday 9th June. For those at the front end of the race hoping for an easier time than on Friday, were about to be both disappointed and once again tested. For Helen Elmore, who following a close win at Castleton (Race Report Here) found herself up against an inform Sally Fawcett and Steph Curtis. Steph hadn’t been racing too much recently and admitted to secret training by spending a few days smashing a concrete path in her garden. For the men, Stuart Bond, had already realised that despite racing hard on Friday he would have to once again ‘do battle’ against the fresh legs of Stuart Little, Adam Osbourne and John Heneghan and that was just for starters. Now Edale is a proper Derbyshire Fell Race. Whatever your standard, it hurts, it’s that simple. The first climb from the field at the back of the village takes you underneath Ringing Roger and up onto Kinder Edge, before the first route choice to reach Grindslow is presented to the runners. This is followed by a final strength sapping climb to the summit of Grindslow, which is followed by the second route choice from the summit to the village and then back down the road to finish in the Country Fayre. Once again, it was Sally who led Helen out on a run-walk from the start field to Kinder edge. Upon reaching the Edge path the two were locked together with Steph Curtis in close attendance. For a short period Helen continued to let Sally take on the brunt of the work before Helen took over along the rocky section following the short-cut across the edge. By Grindslow Helen had clear space between her and the chasing pair of Sally and Steph. As they approached the final run along the bottom field before the run back to the finish, Helen had eased back, even managing a wave to her family and was just letting gravity take her down to the road. On the final descent it was clear that Steph had moved into second spot (and first V40) with the younger Sally continuing to fight for third place as SYO’s Hazel Tant had made up some ground. Sally, used her speed on the road to ensure third spot. For the men it was a similar story on the climb with John Heneghan leading the group onto the edge path. Stuart Bond, Adam Osbourne and Rob Little were all in close attendance. Once on the edge it was Mr Bond who took the race on, leading with Adam a stride behind and John and Rob not so far behind him. Anything could happen. The group stayed pretty much together across the ‘short cut’ with Stuart and Adam continuing to edge a little further ahead and by the time the final summit was reached they had a gap on the chasing pair. It was a gap, but not much of one. Stuart, leading them out, ignored the traditional runners descent of Grindslow, instead opting for what he believed to be the quicker footpath descent. Neck and neck over the rough stuff it was not until the fast section was reached that the race winner opened up that decisive gap. By the field and final run in Stuart was leading, but still could not afford to throttle back as Adam is well known for his speed. It was later reported by Stuart that he came down the road at around 5-minute mile-ing before turning into the field to win. It was a tough days racing, tactical as opposed to the raw flat out running of Castleton on Friday and I am sure there will be a pairs of legs that are feeling a little sore. But then why have a beer tent at the end of a race if you can’t put it to good use!